Originally Submitted to FurAffinity.net on Apr 13th, 2016 02:26 AM. Aren taking a break from work after the morning rush has quieted down. Everyone needs a moment to relax sometimes! I love this piece so much! 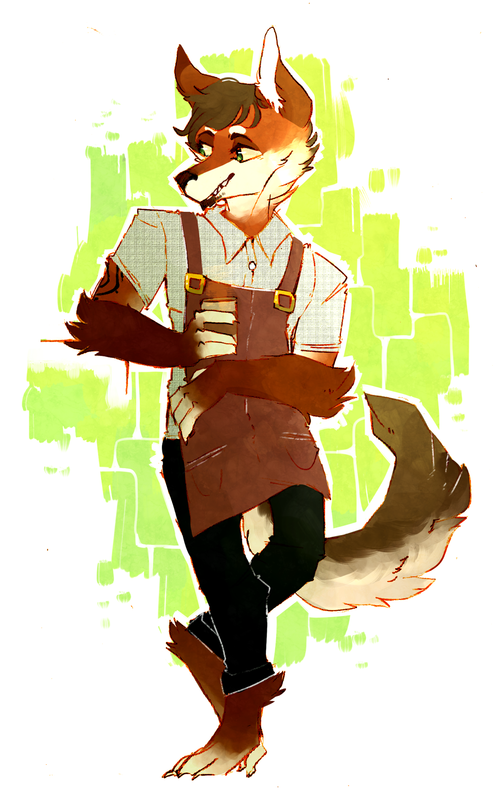 Look at my cute handsome wolfbro :D It's by summerspace and you can find their upload of it here: https://www.furaffinity.net/view/19664263/ They even did a bonus chibi of Slips which was really nice of them!